When a loved one passes away, naturally you want to honor them with a funeral service that is special. But how do you find a funeral home in your area to work with? Chances are, you likely get on the internet and perform a Google search for a term like “funeral homes near me”. From there, a list of nearby funeral homes pops up and you browse through it. After looking at a couple of options you pick one, call them and begin making funeral arrangements. But is that the best choice for you and your family? Or should you take some time to make sure the funeral home you choose, is the right funeral home for you? Finding the right funeral home should be more than just picking one at random. Whether you’re interested in funeral planning or need immediate assistance, you should not just pick one and go. Very few people actually shop around for funeral homes. And that’s a big mistake! Think about it, the average cost of a traditional funeral service is a little over $7000 according to the National Funeral Directors Association. That’s comparative to the cost of a used car. If you’re going car shopping, whether it’s for a new or used vehicle, you wouldn’t just buy the first one you see. No, you do research online. You look at reviews. You talk to the dealership. You take it for a test drive. You make sure you’re prepared beforehand. And you never just buy it without doing any research. So why do we do that with funeral services? If you’re just starting out your search for a funeral home, you might not know how to get started. As we’ve said, many people will turn to search engines like Google and enter terms like “funeral homes near me” or “funeral homes in my area”. Other options are to speak with family and friends about past experiences they’ve had with funeral homes and what local funeral homes they would recommend. Once you’ve got a list of a few different locations you are considering, you can start to compare them and filter your options. Finding the right funeral home doesn’t have it to be difficult or confusing. In fact, it’s a fairly simple process and really only takes a little bit of your time. Let’s preface this by saying that if a loved one has just passed away and you are in immediate need, you may not be able to conduct as much research as you would like to. However, if you are looking to preplan your funeral, make sure you take the time to find the funeral home (and funeral director) that is right for you and your family. > What is your budget? > Do you want to be buried or cremated? > Do you want a funeral home affiliated with your religion? > How many people do you expect to attend the service? There are likely many other things you might want to consider before you call a funeral home. Take some time to sit with your family and discuss everything you need a funeral home to be able to offer you if they want your business. > Get pricing information over the telephone. Funeral homes must provide you with this if you ask. > Review a funeral home’s general price list. > Receive a written, itemized price list upon your visit to the funeral home. > Choose to forgo embalming. > Purchase a casket or urn elsewhere without incurring penalties or fees. > Use an alternative container instead of a casket for a cremation. In most cases, many funeral homes will abide by these rules because the punishments can be hefty if they are violated. Keeping that in mind, if a funeral home tries to tell you something different or refuses to provide you with pricing beforehand, that should tell you all you need to know about that funeral home. The best funeral directors are able to use a broad range of skills and understand local laws and health and safety codes. Take some time to read reviews online and see what others have said about the funeral home. Do they offer grief support resources? Were they attentive? Did they do anything extra for the family? These are all things to consider when comparing funeral homes. Make sure you are selecting one with the experience and expertise to assist any special requests your family might have. When you are speaking with someone from the funeral home, make sure they are transparent and open with you. Arranging a funeral requires you to make many important decisions. It’s critical to make sure the funeral director can answer your questions, address your concerns and discuss the process in detail. If you ask to discuss pricing and they seem hesitant, that should be a good warning sign. Make sure to review everything as well. If the funeral director failed to disclose hidden fees or add-on expenses, that is not someone you should be working with. 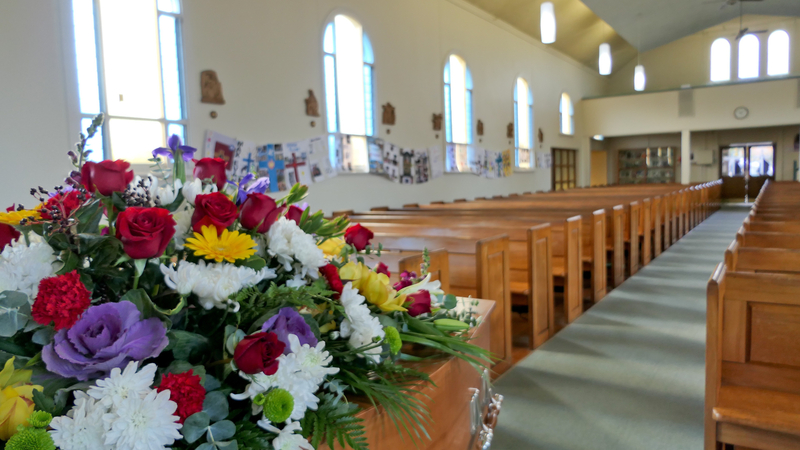 Does your faith have any specific customs or rituals for a funeral service? Ask the funeral director how familiar they are with your faith and customs. A good funeral director will at the very least have some general knowledge about the subject. If your family has any special requests for the funeral service, make sure the funeral home can accommodate them. A good funeral home will be compassionate and willing to take extra steps to ensure people feel comfortable in their grieving. If you make a reasonable request and the funeral home is unwilling to accommodate you, make sure you know that before any paperwork is signed. Before you step foot in a funeral home, take some time to do some price shopping. As mentioned earlier, funeral homes are required to provide you with pricing over the phone. Nowadays, many funeral homes will publish their general price list on their website. This will include an itemized list of every service and product they offer. Compare prices beforehand and understand what each funeral home includes with their packages. By having a better understanding of price, you can filter through the options and learn more about the firms whose services meet your budget. Your initial meeting with the funeral director is often referred to as an arrangement conference. During this meeting, make sure to ask any questions or concerns you may have. This is your opportunity to learn more about the funeral home’s services and the funeral director. Don’t feel like just because you are meeting with a funeral home, you are now obligated to do business with them. Your first meeting with the funeral director is a chance to get a general sense of what the funeral home is like. In most cases, you will find that the funeral director is courteous, compassionate and knowledgeable. They should listen attentively to your questions and be able to offer answers or solutions. If the funeral director appears to be genuine and someone you would like to work with, make the choice to begin the arrangement process with them. If you’re unsure, take some time to discuss with family and friends and simply think about it. Odds are though if something is leaving you feeling unsure, it’s likely best to trust your instincts. This entry was posted in Funeral Planning Resources on July 4th, 2018 by ObitTree .